Social media, blogs, landing pages, search engines, SEO, web pages…any of this sound familiar? They are all related to inbound marketing – the way marketing teams organically attract new potential patrons to their product or service. There are several ways to bring people to your site or promote your product, as long as there is value added for them. Meaningful interactions with helpful content are what newcomers to your service value most. To organically attract leads who truly appreciate and understand your product or service, you need to provide exceptional content surrounding your business. The Internet has an abundance of content these days, so be sure that what you’re putting out is unique, practical, interesting, and provides something to the viewer that they haven’t seen elsewhere. 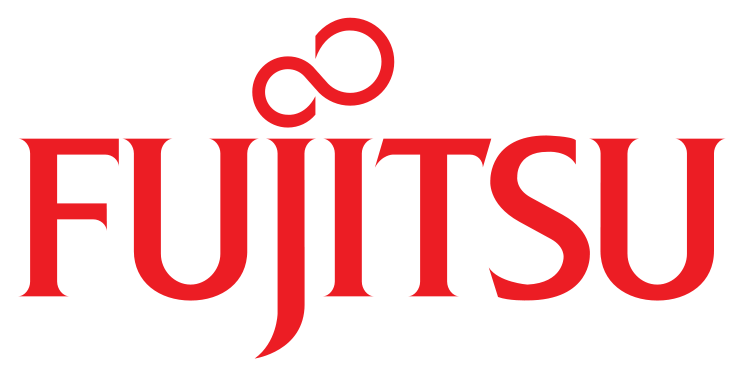 The most popular form of content is now visually based rather than just pure text – and the medium du jour is video. Read on to learn why incorporating video into your inbound marketing content strategy should be a no brainer. Facebook, Instagram, Twitter, Snapchat…no matter which network, videos on social media are making the most impression. 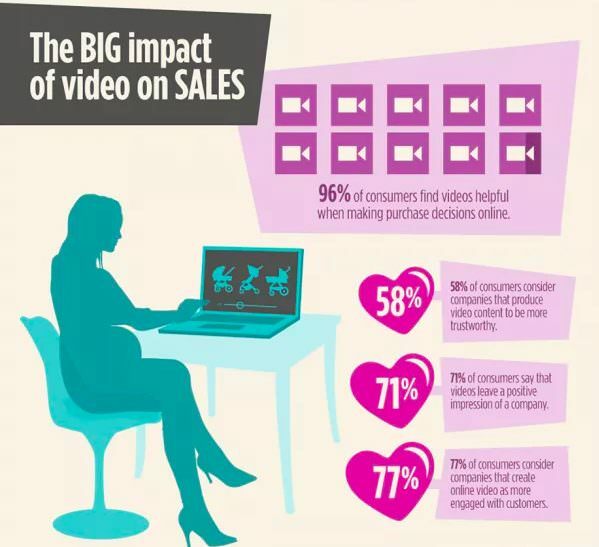 In fact, video content will be the driving factor behind 85% of search traffic by 2019. Videos are so impressive that Facebook will be launching a video creation app later this year! 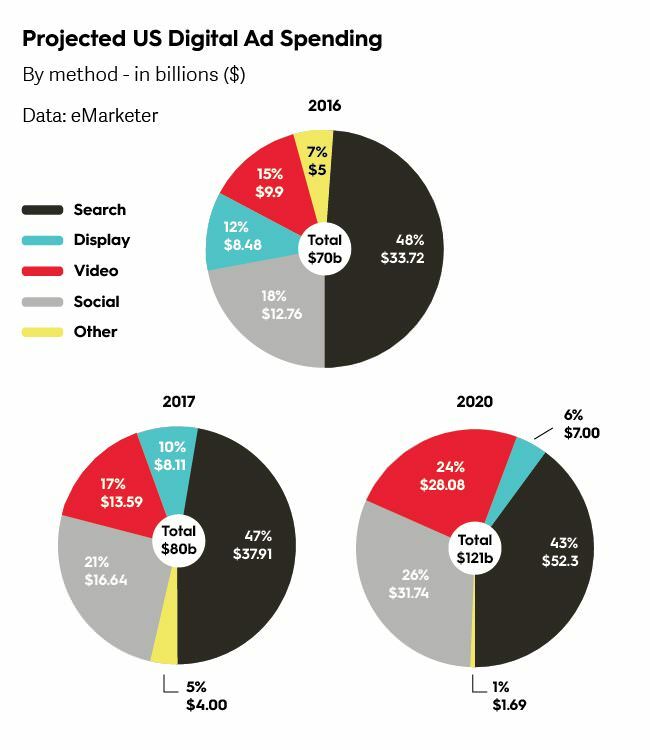 But all platforms are optimizing their networks for video content and spending a large percentage of their digital budget on video ad promotion. 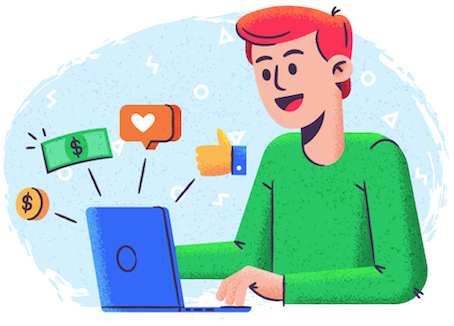 Using social media sites and apps to host your business’s content is an initially free and creative way to market your message to a large network of consistent users. The paid ad options are a bonus if they fit your budget. Luckily, promoting your videos on Facebook and Instagram won’t put too much of a dent in your pocket! 45% of people watch more than an hour of YouTube or Facebook videos per week. 500 million people watch videos on Facebook on a daily basis. Facebook users spend 3X more time watching live videos than traditional recorded videos. 10 billion videos per day are watched by Snapchat users. Best Practice Tip for Facebook: Since 85% of Facebook videos are watched without sound, include captions on your Facebook videos. To accommodate this trend, last year Facebook added automatic captioning to video ads and videos posted to pages with voice-recognition software. Best Practice Tip for Instagram: Now that 60-second videos are a reality on the platform, about 33% of posts from large publishers are videos rather than photos, and video engagement is increasing overall. To achieve maximum video engagement, make sure you have a steady shot that is focused on your subject. Using the in-app camera isn’t the best way to get great video quality, so use your phone’s camera or a digital video camera for best results. Best Practice Tip for Twitter: Using social videos on Twitter helps engagement and conversion – especially native video. Uploading a native video results in 2.5x more replies, 2.8x more retweets, and 1.9x more favorites, which all contribute to increased engagement. 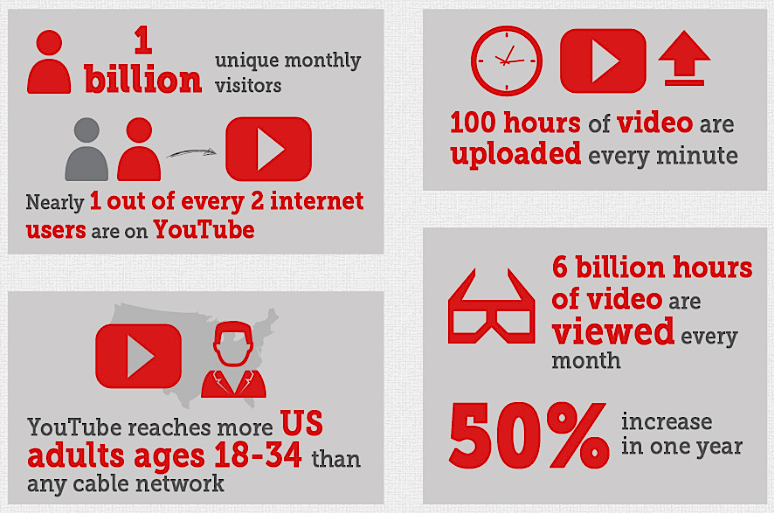 Best Practice Tip for YouTube: YouTube has over 1 billion users – that’s one third of people using the Internet! Remember to tell a story within a short amount of time; videos between 16 seconds and 2 minutes are the most engaging, garnering 53.8% of all video views. If someone watches your video for 30 seconds, it counts as a view, so keep in mind that you must capture your target audience’s attention during that initial time frame! Best Practice Tip for Snapchat: Creating a short story on Snapchat that is around 1-2 minutes will ensure that it is easily digestible. Using the vertical/portrait style video over horizontal/landscape is ideal as people look at their phones vertically 98% of the time…and the app was made for that! Wistia allows for customization of your video and has a powerful analytics tool that can show you where your viewers are from, where they click, and at what point they stopped watching. It also allows you to add CTAs and can be integrated with marketing software such as HubSpot and Marketo. Because it helps you identify your target groups, using Wistia to help your video marketing by creating a content library is a great strategy. Creating accounts on these platforms is a simple task that can help spread your message and increase brand awareness. Creating YouTube ads to help promote your business is a viable option if your budget allows for it. With TrueView YouTube ads, you only pay when viewers show interest and engage with your ad by clicking on it or if they watch your ad for at least 30 seconds. Various factors account for the cost of the ads, such as who your customers are, how often you’d like to reach them, and your overall goal, but on average, video ad costs range from 10 cents to 30 cents per view. To put that in perspective, if you paid 10 cents per ad view and 10,000 people watched or engaged with your ad, you’d pay $1,000 for that specific ad. According to YouTube, most businesses start with around $10 per day for local campaigns. YouTube metadata is important for SEO to help people find your video amongst the millions of videos on the site. Writing long descriptions under your video will also help viewers discover your content, and you can mention your social media channel handles to increase your following and business overall. Our brain has preferences – and seeing images is one of them. We remember pictures easier than we remember text, so if you hear information or read something on a blog, three days later you’ll likely only remember about 10% of it. If a photo is included, you’ll remember nearly 65%. This is due to the picture superiority effect, which is tied to associative recognition. 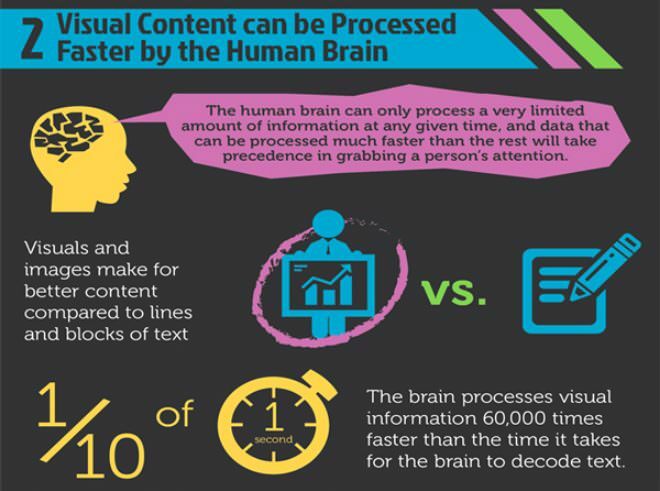 When simplified messages are combined with images, the brain processes them 60,000 times faster than text alone. Not only do visualizations help with memory, they increase brain capacity, too. 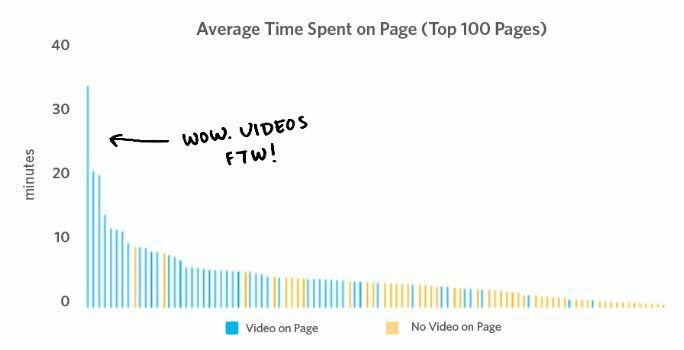 People also spend more time on web pages with videos. Reading a long blog post about a product doesn’t correlate with consumer preferences — 4x as many customers would prefer watching a video about a product instead! Think about the last time you were on a web page with just a bunch of text. Did you read all of it? What about the last time you visited a website with a visual such as a video on the page? It probably held your attention longer. Now just because people would rather watch a video doesn’t mean that the video should be long, boring or complicated. Getting your message across in as little time as possible is favorable because it makes the content easy to digest. Explainer videos integrated with live footage of a product are a great option when it comes to creating product videos that potential leads will enjoy watching, and will help them make the decision to become a customer of your brand. Videos are messages in motion that use images, words, and sounds, which trigger additional parts of our brains. According to Ph.D. Psychologist Susan Weinschenk, since the hunting and gathering days experienced by our predecessors, we’ve internalized the necessity of paying increased attention to noise and movement. In today’s world we no longer have to be alert for hungry saber-toothed tigers, but our heightened senses do cause us to be more engaged with moving pictures — i.e. video. 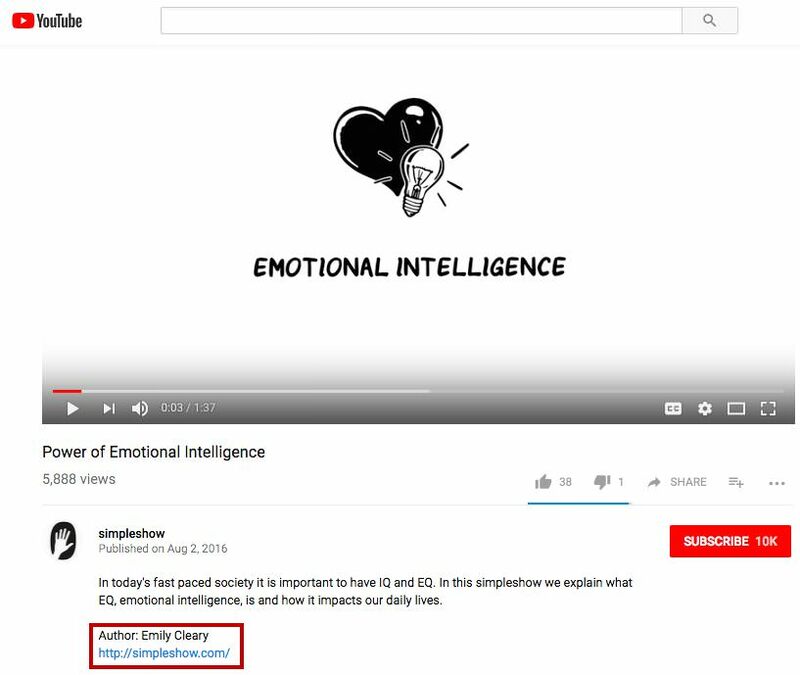 And this is likely the reason that 60% of people would rather watch a video than read text. The preference of watching videos is also correlated to this format being more relatable and understandable. Animoto reports that 71% of people who watch a business video have a positive impression of a company and 58% see companies that produce video content as more trustworthy. There are no limits when it comes to using videos for increased engagement. Use them in your blog, newsletter, social media posts, landing page, website, and product pages. Use them to introduce your company culture, provide a recap of an event, on your ‘About Us’ page or to show your customers a fun behind-the-scenes look at what you do. Multiple types of videos can be used, such as explainer videos, live interviews, animated videos, tutorials, product demos, webinars, and vlogs. Video content will be the impetus behind 82% of search traffic by 2021. And, as a fun fact, it would take a person 5 million years to watch all the video that crosses global IP networks in any given month in 2021. So it’s clear that people love video, and the spike in searches proves that. But do you know who also loves video? Google algorithms. By having video content searchable and available online, chances of improving your Google search page ranking will be 53x higher. First page of results, anyone? To rank higher in SERPs with video, there are several actions you can take, including consistently updating and uploading your content to help increase your search engine ranking, and making sure your video offers something valuable to the viewer — educational, shocking or funny. If you’ve never seen the Dollar Shave Club ad that went viral, take a look at this 90-second video. The title is shocking (“Our Blades Are F***ing Great”), the info provided by the founder himself in a casual, “buddy” tone is informative, and the humor is edgy. Not only did the video ad get 24,917,259 views and therefore attracted new customers, but tons of news outlets and blogs wrote about them, which helped skyrocket their link building. When it comes to YouTube, uploaded videos help with achieving higher organic search ranking because they are displayed in Google’s SERPs, while detailed video descriptions that include keywords help SEO. Be sure to write a description of the video. This metadata includes the length of your video, a text description of it, the title, and the video file name. Adding a video transcript to your description box that includes your keywords helps search engines better understand and place your content. Creating a video sitemap will help your video’s ranking on search engines and within online video libraries. Make sure that you’re creating shareable video content! Everyone can spare a couple of minutes, but most people don’t have 20 minutes, so don’t waste your viewer’s precious time. Videos shouldn’t be longer than about 2 minutes. The video should be placed towards the top of a page, to ensure that visitors see it. Autoplay should not be on, because let’s face it, sometimes an automatically playing video can be annoying and will cause the visitor to stop the video and possibly leave your landing page. Include a call to action in your video, so the viewer knows what to do after watching it. Make sure that the video thumbnail is attractive, intriguing, and will make people want to watch the video. What is the average amount of play time watched per video? What is the average amount of play time watched per user? How are different countries engaging with your video? How are different target groups engaging with your video? Once you have this data, test out different titles, keywords, calls to action, etc., to see which ones perform best. People love stories, so creating a video that tells a story to explain a topic, product or problem, uses relatable characters, and makes viewers connect at an emotional level based on how it is scripted and visualized are all keys to ensuring lovable and shareable content. When it comes to explaining difficult topics, simple explainer videos are a great way to catch someone’s attention through telling a story. Make sure the language used throughout your story is understandable and relatable. Don’t use industry jargon unless the video is for a targeted audience. 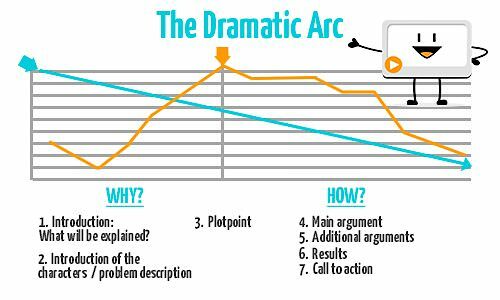 Using the simple steps of the Dramatic Arc will help tell your story and make it relatable. Include an introduction of the upcoming topic, introduce the characters and the problem, discuss the plot point, provide the main argument and any additional arguments, show the results, and provide a call to action. Relatable stories with interesting characters help keep the viewer engaged. Have you ever seen a TED talk? So many of these extraordinary presenters include some sort of emotional or compelling story within their presentation, and it makes the audience hang on to their every word. Are you convinced yet? Social media videos, relatable content, and short videos will help increase engagement, conversions, and SEO ranking, optimize keywords, and keep viewers coming back for more great content. Using video is a guaranteed way to help your inbound marketing strategy! Emily Cleary is a writer with a background in higher education teaching, tutoring, and marketing, and is currently the Content Marketing Manager for video creation software mysimpleshow. She holds a Master of Arts degree in Sociology and studied business in college. Emily writes various types of content online about software and technology, education and learning, and all aspects of business.